Me: I’ll have a 77. Whitey: (Sarcastically) You mean a 7 & 7? Me: (With false bravado) That’s what I said. Whitey smiled and turned to hopefully get my drink. I didn’t even know what was in a 7 & 7. I just knew it was something that I heard was a drink. I was scared shitless. I sat on an empty stool and there was some money and an empty glass on the bar. I didn’t know what that meant but I soon did. Before my drink came, I felt a hand on my neck and I was lifted off the stool and dropped to the ground. The man never said a word to me after he sat down. No one said anything. I don’t even know if anyone was watching or laughing or whatever. We moved further down the bar and Whitey brought us our drinks. I don’t remember how much it cost but I do remember feeling like a grownup. 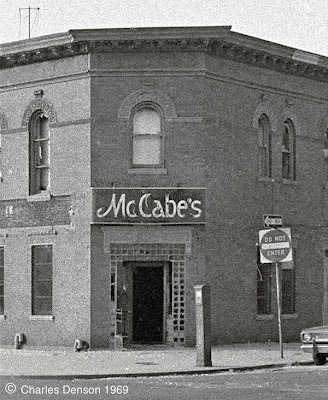 I went in many times after that and thought I was cool because we called it Whitey’s, not McCabe’s. Maybe Whitey was the owner, I have no idea and I’m hoping that comments to this post will answer more questions about this neighborhood landmark. That was the last time I ordered a mixed drink. I always ordered Rheingold after that first time and it was served in what looked like little Welch’s Grape Jelly glasses and they cost 20 cents. One time I was there with someone and Vernon Petty bet us that he could drink the glasses of beer faster than us. He was older and of course, he drank his slower so we would get drunk. He bought the beer so it wasn’t a total loss. 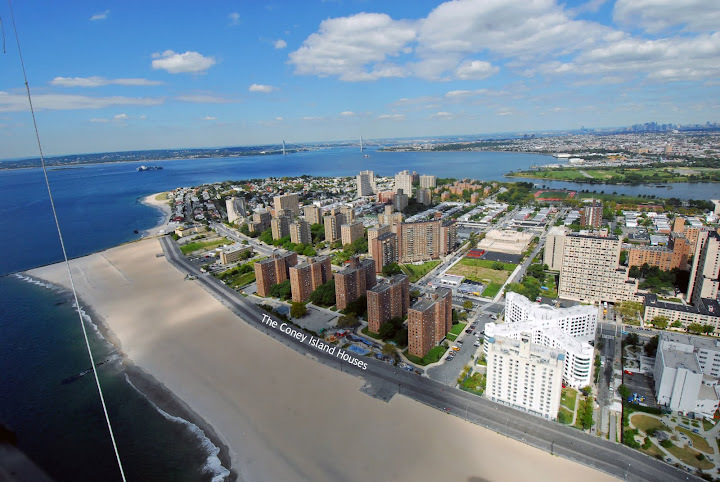 All in all, just another coming of age Coney Island kid experience. Anyone else? Please comment below. Thanks to Charlie Denson for the great photo. Rich Salzman here - I had my first "real beer" at McCabes when I was about 14 or 15. It was a freezing cold Friday or Saturday night (winter 1968-69 maybe). There were a small group of us who went to McCabes that night; me, Ronnie Ryan, Bobby Savage, Junior Garguilo and I think Phillip Rich and Jeff Kronowitz were there too. The back door was often left open and it was dark back there so we kind of 'snuck in.' It was a busy night, alot of the 'older boys' from the Gate and CI Houses were there. I remember Lee Greenberg and Jimmy Ryan joking around with us a bit, we gave them a couple of dollars and they got us beers. It was awesome! Young punks like us drinking with 'the big boys' and not getting chased out. Jack Greenberg (Lee's Uncle) once took me, Noel Greenberg and Junior Garguilo there for a few beers when we awere about 15. We brought our guitars and played a few songs until Whitey told us to STFU. It is true, this was definitely a "Man's" terrain; you never saw a girl or woman inside and you wouldn't dare go in unless one of the older kids was already there. And you didn't disrespect Whitey or the other men at the bar because you would've risked a serious beating and getting thrown out in the street. McCabes, gone but never forgotten.